Oprah Winfrey is a billionaire philanthropist, talk show icon, producer, actress, and writer. The media icon famously dubbed “The Queen Of All Media” owns and hosts the highest-rated television program in the media circle. Read more about the powerful television star below. Oprah was born as Orpah Gail Winfrey on January 29, 1954, to a single mother Vernita Lee and absent father, Vernon Winfrey. She adopted “Oprah” after she realized her birth name was always mispronounced. The woman who has now become a global media leader came from a poor home. She lived in rural Mississippi in the first six years of her life under the care of her maternal grandmother, Hattie Mae. Since her grandmother couldn’t afford to buy her nice dresses, she had to deal with mockery and ridicule from the local children. Growing up, the superstar had it the tough way. She was sexually assaulted by close family members including uncles, a cousin and a family friend. Feeling depressed and worried from the experience, she ran away from home. She became pregnant at 14 and gave birth to a son. Sadly her son died in his early childhood because he was born prematurely. While still healing from all the bad experiences, Oprah enrolled at Lincoln High School, Milwaukee. She later got transferred to the affluent suburban Nicolet High School following early achievement in the Upward Bound Program. However, her time in Nicolet was soaked with despair due to her poor background. She rode to school with fellow African-Americans, some of whom worked as domestic servants to her classmates’ families. In an effort to remain relevant among extravagant peers, she started stealing money from her mother. She also lied and argued with her more often than not. These got her mother really upset, so she sent her to Nashville, Tennessee once again to live with her dad, Vernon. In her new town, she joined East Nashville High School. Her dad was very strict, thus she had a firm upbringing under him. Despite his strictness, Vernon was encouraging and didn’t compromise her school with anything else. While in school, Oprah joined her school speech team and became an honors student. She was also voted Most Popular Girl. For her performance, the media icon landed a job in a radio station while still in High school. She started co-anchoring the local evening news. Her ability to speak off the cuff got her transferred to daytime talk show arena. She charmed the crowd with her extemporaneous speech and thus the show got uplifted from a third-rate Chicago talk show to first place. Fortunately, she won oratory contest and was given a full scholarship to Tennessee State University, which is widely regarded as a black institution. She studied communication and was gainfully employed in a local media at Nashville’s WLAC-TV, making her the first black female news anchor and the youngest at her workplace. In 1976, she relocated to Baltimore’s WJZ-TV to join the six o’clock news. Her time on air, however, expired after she was removed as a co-anchor in 1977 and was given lower profile positions at the station. The following year, the media mogul got recruited to join Richard Sher as a co-anchor of WJZ’s local talk show People Are Talking. She also hosted the local version of Dailing for Dollars. In 1984, Oprah started hosting AM Chicago, a low-rated half-hour morning talk show on WLS-TV. Months after her arrival, the show became a very popular and high-rated show in Chicago, ranking above Donahue. On September 8, 1986, she launched her own talk show, Oprah Talk Show. The show dethroned Donahue to become the number-one daytime talk show in America. Currently, it draws millions of audience and has remained one of the most famous TV shows. Additionally, in 2008, the media personality produced and co-starred in some episodes of The Women Of Brewster Place (released in 1989), and the spin-off Brewster Place. She also co-founded the women’s cable television Oxygen. She founded Oprah Magazine and a production company that goes by her name spelt backwards – Harpo Productions. In 2011, Oprah Winfrey in collaboration with Discovery Communications changed the Discovery Health Channel into a new channel known as OWN: Oprah Winfrey Network. Oprah also joined 60 Minutes as a special contributor on Sunday evening news magazine program. Apart from being a talk show superstar, Oprah has featured and produced numerous films including Beloved, The Color Purple and A Wrinkle in Time (2018) where she was portrayed as Mrs Which. She also appeared in the Emmy Award-nominated HBO movies Immortal Life of Henrietta Lacks. She produced and featured in the Academy Award-winning film, Selma. She was also nominated for Academy Award for her role Color Purple. Read Also: Will Smith Son, Wife, Kids, Family, Height, Religion, Gay, is He Dead? She has also done voice-overs for movies which include Charlotte’s Web (2006) as Gussie the goose, Bee Movie (2007) as Judge Bumbleton as well as co-starring the voices of Jerry Seinfeld and Renee Zellweger. The voice for the character of Eudora, the mother of Princess Tiana in Disney’s The Princess and the Frog was also Oprah’s. In 2010, she narrated the US version of the BBC nature program Life for Discovery. Similarly, they have been movies from her production company, Harpo Productions such as Their Eyes Were Watching God. The production firm also signed an exclusive treaty to develop and produce scripted series, documentaries and movies for HBO in 2008. Currently, Oprah serves as the CEO of OWN: Oprah Winfrey Network and in the last 25 years, she has managed to create an enviable career from her humble beginning. Moreover, the female billionaire writes and publishes books. So far, she has up to five books to her name. Her website Oprah.com has more than 70 million page views on average. Every month, the page allegedly caters to more than six million users and gets roughly 20,000 e-mails every week. She is also ruling the radio world in her own way and amazingly, famous contributors to The Oprah Winfrey Show and The Oprah Magazine are also featured on the radio. Oprah Winfrey has been in a relationship with several men at different times. Anthony Otey, William “Bubba” Taylor, John Tesh, Lloyd Kramer, Randolph Cook, Roger Elbert and Reginald Chevalier all make the list. 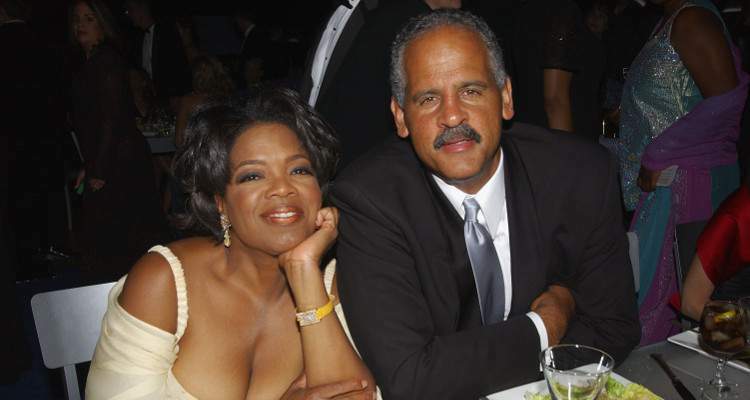 Currently, she is unmarried but has a boyfriend Stedman Graham whom she has been dating since 1986. They don’t have any child together. It was said that Oprah Winfrey once revealed she chose not to be a mother because she wasn’t looked after properly as a child. The duo was engaged to be married in November 1992, but the wedding never happened. Oprah Winfrey lives on her property named “The Promised Land”. The house is located on a 42-acre estate in Montecito Califonia. The estate offers ocean and mountain views. Other properties to her name include a house in Lavallette, New Jersey, an estate on Fisher Island, properties on Maui, Antigua and Hawaii, Florida, a ski house in Telluride, Colorado, and an apartment in Chicago. 1. In 2006, a genetic test claimed that Oprah’s matrilineal line originated among Kpelle ethnic group, which is today found in Liberia. Her genetic composition was determined to be 89 percent Sub-Saharan African, 8 percent Native America and 3 percent East Asian. 2. She is the richest African American woman and North American’s first multi-billionaire black person. 3. She is ranked as the most influential woman in the world and the greatest black philanthropist in American history. 4. She backed Obama presidential dream from 2006 to 2008. This led to approximately over a million votes at the end of 2008 Democratic primary race. 5. She was honoured with a Presidential Medal of Freedom by President Barrack Obama. She also owns an honorary doctorate degree from Duke and Havard. 6. Oprah Winfrey started out her question and answer session as a child. According to her grandmother, she held interviews with her toys; corncob doll and crows. Oprah, on the other hand, credits her grandmother for her ability to speak publicly. 7. She used to be a church girl and had always followed her grandmother to a local church. Accordingly, she was nicknamed The Preacher because she could recite the Bible verses at a very young age. 8. When Oprah told her family about the sexual abuse, she suffered at the hands of close family members, they didn’t believe her. Her experience inspired her to start hunting down suspected child abusers through Oprah’s Child Predator Watch List which via her show and website work to expose such people. 9. She lost one of her sisters, Patricia to cocaine-related addiction and her brother to AIDs relation complications. 10. The first job she did as a teenager was at a local grocery store. 11. She won the Miss Black Tennessee beauty pageant at the age of 17. 12. Oprah has endured a lot emotionally, physically and otherwise. One of the bosses she worked for in the past discriminated her for losing her edges due to a bad perm. She had also knelt to beg some of her ex-s who threatened to dump her. It got to a point that she started taking hard drugs to please some of the men she dated who were drug addicts.